PORTLAND — Pioneering Oregon Republican Norma Paulus, who was the first woman elected to statewide office, has died. Ms. Paulus died Thursday after spending time in hospice for health problems related to dementia, according to Kerry Tymchuk, a longtime friend and her successor as director of the Oregon historical society. Ms. Paulus was 85. “She was a pathbreaker and a history-maker,” Tymchuk told the Oregonian/OregonLive. Ms. Paulus was a member of the Legislature, Oregon’s secretary of state from 1977 to 1985, her party’s nominee for governor in 1986 and the state’s elected superintendent of schools for two terms in the 1990s. Fiscally conservative, Ms. Paulus was a feminist and environmentalist who crafted bipartisan legislation with Democratic women in the House in the 1970s and championed the auditor’s role in the secretary of state’s office. As the state’s top elections official, she helped bring about a fair election when the Rajneeshees tried in 1984 to bus in homeless people to hijack a Wasco County election. And she first instituted vote by mail in Oregon, backing its use in normally low-turnout special elections. As an environmentalist, she required recycling in state office buildings, wrote legislation to limit the use of off-road vehicles on state lands and, according to her autobiography, played a key role in preserving Cape Kiwanda as a state-owned natural area. Ms. Paulus grew up in Depression-era poverty in eastern Oregon, didn’t go to college but landed a secretary job through a hometown connection and then worked for the chief justice of the Oregon Supreme Court. Eventually she was admitted to law school at Willamette University, where she studied part-time while continuing her secretarial job. While in law school, she married William “Bill” Paulus and gave birth to a daughter before graduating with honors in 1962. The couple’s son, Fritz, was born the next year. She won a seat in the Oregon House of Representatives representing Salem in 1970, at a time when the Legislature had only a handful of women. Republican Sen. Jackie Winters of Salem said in a statement that Ms. Paulus was a role model. Ms. Paulus also was a founding member of the Oregon Women’s Political Caucus and helped push the Equal Rights Amendment in Oregon. As a legislator and secretary of state, she often literally was the only woman in whatever hall of power she occupied, said Tymchuk. In 1986, Ms. Paulus easily won the GOP nomination for governor. But in the fall, she narrowly lost her campaign to Neil Goldschmidt, then one of the most popular politicians to seek the governorship in the modern era. In 1990, Ms. Paulus was elected superintendent of public instruction. During two terms in that office, she championed revamping the state’s educational system to place greater emphasis on performance standards and school accountability. 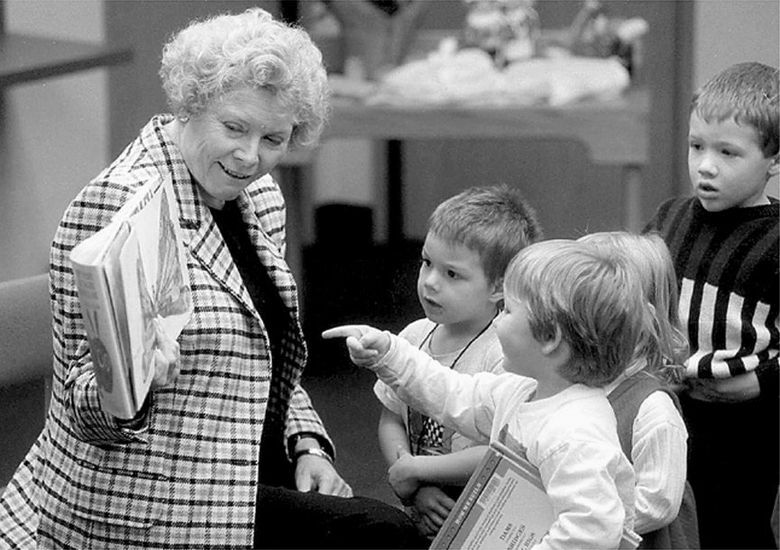 The fragility of her own early education, in the small schools of Burns where she grew up, fueled her passion to make sure a higher quality of education was available to disadvantaged children in Oregon, said Saxton, who served on the Portland School Board during much of Ms. Paulus’ tenure over the education system. In 1995, Ms. Paulus entered the Republican primary to fill Bob Packwood’s seat in the U.S. Senate but lost to Gordon Smith. She continued as superintendent until her term ended in January 1999. She contemplated retiring early to care for her husband, who had been diagnosed with brain cancer, but he insisted she finish her service, according to Fritz Paulus. Bill Paulus died in March 1999. Ms. Paulus served as director of the Oregon Historical Society from 2001 until her retirement in 2003. Besides son Fritz, she is survived by his wife Jennifer Viviano and their son Will; daughter Liz Paulus; and her sister Gerri Pyrch and brother Paul Petersen. A public memorial service will be held in Salem at Willamette University’s Smith Auditorium on April 27.